Last month, I had the pleasure of sharing with you the 'progress' of a few large developments and many new partnerships that Seven Hills has recently entered into. This month I'm excited to announce some community pride. The City of Seven Hills Farmers’ Market 2018 season opened on Thursday, June 28th, 4PM at 7221 Broadview Road in Seven Hills, with plenty of free parking and fabulous vendors! Each Thursday Market features neighborhood farmers, producers, and artisans who grow and/or produce their own goods. Enjoy food trucks? Save the date to grab dinner from Barrio Food Truck on Thursday, July 12th and Swenson’s Food Truck on Thursday, August 9th. Kona Ice Truck will also be stooping by on select Thursdays! Additionally, there will be three wine events, hosted by The Little Birdie Wine Nest on July 12th, August 9th and September 13th. About the Market The City of Seven Hills Farmers’ Market began in 2014 as a way to bring residents and the local surrounding communities together each week to shop for locally produced items and for the freshest, locally grown food available. Now entering its fourth season, the Market continues to give friends and neighbors the opportunity to visit together in the fresh air while listening to live music and browsing through vendor stalls featuring fresh produce, vegetables, microgreens, fruits, perennials, herbs, meats, honey, nuts, soup, bread, jam, maple syrup, pierogis, coffee, baked goods, kettle corn, soap, pastry and more! The Seven Hills Farmers’ Market is an open and flexible market, allowing vendors to join at any time and for as many weeks as fits their schedule. This means the Seven Hills Farmers’ Market might have an unanticipated guest vendor next to weekly favorites! The Seven Hills Farmers’ Market is not just about locally grown, farm-fresh produce, delicious baked goods, meat, snacks, local honey, health and wellness items, flowers and plants. It is also a gathering place with a vibrant crowd of locals, live entertainment, and monthly special events. City Of Seven Hills Farmers' Market Opens Thursday, June 29, 2017! The 2017 City of Seven Hills Farmers’ Market, sponsored by Taleris Credit Union, Inc., will open on Thursday, June 29th, 4:00 -7:00PM. The Market is located at the corner of Hillside Road and Broadview Road adjacent to Fire Station No.1, 7195 Broadview Road, Seven Hills. 44131. There will be giveaways and musical entertainment by Gwendolyn. Seven Hills city council is considering a charter amendment for the May ballot to expand the mayor’s position to fulltime with a substantial salary increase and benefits package beginning in the next term on December 10, 2019. While I agree that the increasing complexities of serving as the city's CEO clearly demand a full time administrator, I have asked Council to instead ask the voters to convert to a city manager form of government, rather than to a full time mayor. Here are just a few of my reasons. 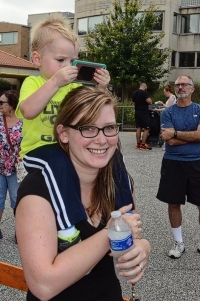 The 2016 City of Seven Hills Farmers’ Market, sponsored by Taleris Credit Union, Inc., opened on June 30, 2016. The Market is located at the corner of Hillside Road and Broadview Road adjacent to Fire Station No. 1. The City of Seven Hills Farmers’ Market will continue to provide a place for farmers, backyard gardeners and home food producers a location to sell their items and a place to connect with our wider community. Please shop our Farmers’ Market every Thursday, now through September 29th from 4-7PM. Emily Duff lived in the Froehlich House on Broadview Road from the day of her birth on June 24, 1902 until her death on January 5, 2006. Her parents Emma and Conrad Apel bought the house from the Froehlich Family in 1896. It had been built by the John Froehlich in 1843. Although the kitchen and bathroom were upgraded, the home retained its character of an earlier day. The original white wainscoting extended around the walls of the rooms. The floors were wide, random-width pine. Crisp, white Priscilla curtains covered the original windows, with their twelve lights. Large quarry stones made up the floor of the cellar. On one side of the cellar, steps led to a door at ground level. This was used to roll down barrels which carried supplies that were stored in the cellar. New This Summer, The City Of Seven Hills Farmers' Market! Make the City of Seven Hills Farmers’ Market your Thursday destination. The Market is located on the patio of the Seven Hills Recreation Center, 7777 Summitview Drive, Seven Hills, Ohio. The Farmers’ Market is held every Thursday, 4 p.m to 7 p.m., rain or shine. The idea began as a market where local farmers could sell their own produce, local artisans could sell their crafts, and people from Seven Hills would know that they could purchase quality produce and goods at affordable prices. Farmers' Market is Coming to Seven Hills! Make The City of Seven Hills Farmers’ Market your Thursday destination. A fresh air market featuring neighborhood farmers, producers, artisans & vendors who grow and/or produce their own goods. Happy, Healthy, Homegrown; the Seven Hills Farmers’ Market is a convenient stop to get all your fresh, seasonal produce and more. Welcome to the 2015 City of Seven Hills Home Days! The City of Seven Hills is ready to host the 42st annual Home Days Festival, July 24th, 25th, and 26th. Held behind City Hall, 7325 Summitview Drive. Seven Hills Home Days always has fabulous food, riveting rides, and magnificent musical entertainment. This year promises to be equally entertaining! The area surrounding City Hall will be packed with food, games, rides, vendors and various musical performances over the three day event. Fireworks, sponsored by Saber Healthcare Group are scheduled for Friday night at 9:45PM. Opening ceremonies with Mayor Dell’Aquila and VFW Post 7609, are Friday July 24th at 6PM. Home Days hours are Friday 6-11PM, Saturday Noon-11PM, Sunday Noon-6PM. Savor the best flavors in town as the City of Seven Hills hosts the 5th Annual Taste of Seven Hills on Thursday, April 16, 2015 from 6-9 p.m. at the Seven Hills Community Recreation Center, 7777 Summitview Drive, Seven Hills, Ohio. Tickets are just $30 per person or $240 for a table of 8. Giant Eagle is a participating Sponsor. The proceeds from the Taste of Seven Hills helps fund various programs in the City, including our ever popular Home Days. Forget about the fact that, as homeowners, we pay $2,129.00 out of our $4,445.00 annual property taxes for Parma City School District (PCSD) students for a home that has seen three value reductions but no tax reductions – AND WE HAVE NO CHILDREN WHO MIGHT BENEFIT FROM IT. The 2014 VFW Children’s Christmas Party will be held on Sunday, December 7th at the Seven Hills Community Recreation Center, 7777 Summitview Drive, from 1:00 – 4:00 p.m. This free family event is provided by the City of Seven Hills and VFW Post 7609. NerdWallet, a consumer advocacy website, recently conducted a study to find the best places for homeownership in Ohio – analyzed the data for 183 communities and Seven Hills ranked among the top 20. The City of Seven Hills held a June 10, 2014 ribbon cutting ceremony to announce the opening of the new University Hospitals (UH) Parma Medical Center Therapy Services unit at the city’s Recreation Center. In attendance were a number of representatives of the hospital, the local business community and the city. Seven Hills Home Days Is Coming In July! The City of Seven Hills biggest gathering of family, friends, and neighbors is July 25, 26, and 27, 2014 when Home Days comes back to Seven Hills for its 41st year! Held behind City Hall, 7325 Summitview Drive, Home Days always has fabulous food, riveting rides, magnificent music, and more. This year the Home Days musical entertainment will pay homage to the Golden Age of Rock-n-Roll. There will also be various vendors with a variety of items for purchase and two nights of fireworks. Mark the calendar! The firework displays will be Friday night, July 25th and Saturday night July 26th at 10:00pm. Home Days hours are Friday 6-11pm., Saturday 3-11 pm., Sunday 12-9pm. Seven Hills, Ohio was named a 2013 Tree City USA by the Arbor Day Foundation in honor of its commitment to effective urban forest management. Seven Hills achieved Tree City USA recognition by meeting the program’s four requirements: a tree board or department, a tree-care ordinance, an annual community forestry budget of at least $2 per capita and an Arbor Day observance and proclamation. Tuesday April 8, 2014 the Watershed Volunteer Program at Cleveland Metroparks and West Creek Conservancy in conjunction with the City of Seven Hills performed street tree maintenance, including cleaning and cultivating of the bioretention cells, along Civic Drive and Broadview Road from the intersection of Hillside Road to East Pleasant Valley Road. Bioretention calls help purify storm water runoff, including removal of road salt. In his second State of the City Address, March 27, 2014, Mayor Richard Dell’Aquila highlighted the fact that Seven Hills is strong and getting stronger every day. Seven Hills has survived the national recession and the City’s finances are improving through a program of smart, sensible government. As a result, in just two years, the General Fund balance increased almost 150%, from about $1.5 million to $3.7 million. Today, the City has fewer employees, streamlined operations and maintains and even expanded City services, for example re-instituting a full City leaf pick-up program. The annual operating expenses have been reduced by about 20% from $9.3 million, when Mayor Dell’Aquila took office, to about $7.5 million in 2013. The City of Seven Hills will host its 4th Annual “Taste of Seven Hills” on Saturday, April 12, 2014, from 6 until 9 p.m. at the Seven Hills Community Recreation Center, 7777 Summitview Drive in Seven Hills. Tickets are $30 per person, which includes tasting samples from over 20 area restaurants and caterers, plus beer, wine, nonalcoholic beverages, and entertainment by guitarist Victor Samalot. Purchase a table of 8 before March 14th for $200, a savings of $40! The Seven Hills Police Department is announcing the retirement of Police K9 Rocky. Rocky began his training to be a police dog in November 2004 along with his handler Sergeant Daniel Kappus. The two began working the road together in January 2005 and have worked with each other ever since. In the nine years Rocky served as a police dog, he assisted the Department in drug searches, tracking for both missing people and suspects along with building and area searches. 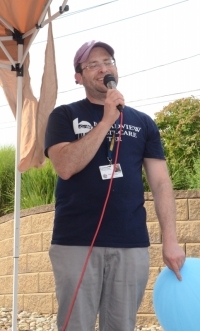 In addition to his assistance in criminal matters, Rocky spent much of this time at public relations events, school presentations and also helped out at Safety Town of Parma for many years. Seven Hills Canned Food Drive to Benefit Yuletide Hunger The City of Seven Hills is collecting all canned food, non perishables, paper products and personal hygiene items to be donated to local families in need as part of the Yuletide Hunger Program for the Holidays.To date, collection is extremely low compared to previous years. Approximately 150 families were assisted in the 2012 program. Please consider donating at the Seven Hills Community Recreation Center or City Hall at 7325 Summitview Drive in Seven Hills. Questions can be directed to Chris Matthews @ 216-525-6230. Receipts are available upon request for your donations. The Dell’Aquila Administration has announced that after years in suspension, a full city leaf program has been re-instituted. Weather permitting, residents’ leaves will be picked up at the street side on both curbed and uncurbed streets commencing Friday, October 25, 2013. Two city crews will work simultaneously from the north and south ends of town, making enough passes to complete their work. It’s time for The City of Seven Hills annual Fall Fest, Chili Cook-Off and Craft Fair, held on Sunday, October 6, 2013 from 12:00 until 4:00 p.m. at the Seven Hills Community Recreation Center! The Craft Fair will be from 12:00 – 4:00 p.m. and the Chili Cook-Off will be from 1:00 - 4:00 p.m. Plan on attending and sampling delicious chili in Hot and Mild categories - 1 ticket for a “taste” and 4 tickets for a “bowl” - and vote for the People’s Choice! For purchase, there will also be amazing crafts, snacks, raffles and a Farmer’s Market with fall décor! All proceeds will benefit the City of Seven Hills Senior Programs. Also enjoy live music and loads of kids’ fun including FREE hayrides, pumpkin painting, games, a hay maze, and more! The City of Seven Hills thanks everyone who helped to make the 40th Annual Seven Hills Home Days Festival a huge success. Numerous volunteers, Service Department personnel, City Hall and Recreation Center staff work countless hours to achieve the accomplishments that make this annual event possible. Their dedication to the community is greatly appreciated! Clowns To The Left, Jokers To My Right . . . Recently, I spontaneously attended another Seven Hills caucus meeting. When I walked through the front door, 18 to 20 angry residents, several of whom led me to believe I could not walk down the hall or gain access to the meeting – deceived me by telling me they were there because they “really care about the deer.” The ringleader insisted I sign the sign-in sheet 30 feet from the meeting entrance. She put her hand atop my shoulder, cocked her head to the side, looked at me with puppy dog, soft eyes and asked, “Why are you here?” When I explained that I had no idea any discussion of deer was on the agenda, and that, yes, I do care about the deer, she angrily shot at me, “I was just saying that, to find out your position on the issue. We hate the deer, and want hunting!” It was mere chance I went that night. The City of Seven Hills has made this year’s Annual Home Days Festival the biggest and best it has ever been. We will have programs and entertainment for people of all ages. This year, every aspect of Home Days will out perform previous years. We are celebrating our 40th Home Days! We are bringing back two nights of fireworks, sponsored by The Ohio Loan Gals & Cross Country Mortgage. There are second-to-none entertainers scheduled all weekend on Two Stages, as well as Rides, Games, Concessions, Adorable Baby Contest, Miss Seven Hills Pageant, Beer Garden, Senior Drawing, Dog Show, 50/50 Raffle, Flower Show, Craft Show and much more! The City of Seven Hills will observe the 150th anniversary of Memorial Day on Monday, May 27, 2013. Residents will gather at Seven Hills Community Recreation Center on Thursday, May 2, at 7:00 p.m., as Seven Hills Mayor Richard Dell’Aquila presents the annual State of the City Address. Join neighbors and fellow baseball fans at the annual Seven Hills Community Day at Progressive Field on Sunday, June 2, 2013. First pitch is at 1:05 p.m., when the Indians take on the Tampa Bay Rays. One must have a “thick skin” to be both an attorney and to also serve as a mayor. I have been a practicing attorney for 34 years and am honored to have been involved in Seven Hills government since 2003. I take pride in the progress we are making to turn our city around in these difficult financial times. Each year around the holidays The Salvation Army comes out in force to your local businesses with their patented RED BUCKETS and BELLS. The money that is collected over the holiday season goes to fund many valuable programs throughout the year. 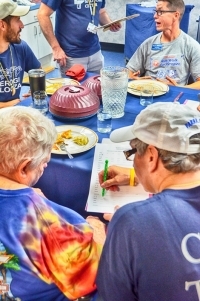 As peoples lives become more involved and busy, the Salvation Army receives less and less volunteers and has been forced to resort to paying help to ring the bell for donations. As you can expect, a greater percentage of your donation will go to help those people in need if there are volunteer bell ringers! “Write about me.” That’s been the mantra that won’t leave me alone since August 24th of this year. On August 24th, a driver “accidentally” killed “Baby,” a large, alpha fawn near our home. The driver allegedly left the scene and went to the police department to report it. Meanwhile, other drivers continued to run over the deer because it was hard to see in the dark just after dusk. In a relatively short period of time, Seven Hills Council-at-Large Matt Trafis' winning demeanor, superb listening skills and professionalism have been put to the test -- and he's passing with flying colors. Assertive, unwilling to fall prey to petty politics and ever-ready to extend a warm welcome to anyone seeking his counsel, Trafis is one to watch. It's that time of year again Time for the annual CARD PARTY hosted by Seven Hills AARP Chapter 4229. Mark your calendars! October 23rd is the date and the place is the Seven Hills Recreation Center, 7325 Summitview Dr., Seven Hills, from 1 to 5 P.M. Tickets are only $6.00 and can be purchased in advance or at the door. So grab some friends and spend a fun Sunday afternoon. Many door prizes will be given and raffle tickets sold for great prizes. AARP members work hard to make sure everyone has a great time. Luncheon will be served along with a delicious dessert. If you don't play cards, bring your favorite board game. Hope to see you there. For information or to purchase tickets, call Nancy Martincic (216-524-3668). Join attorney and mediator Mark Newton for a free workshop, "Without Becoming Enemies" on August 10, 7:30-8:30 PM. Learn about divorce mediation, how it differs from hiring attorneys, and ask questions about the process. To register, call (216) 798-4840. The Civil War: What Does It Mean To You? Mom died in ’97. When she spoke of my great, great maternal grandfather, Thomas Maskall, a Union Army soldier with the Ohio Volunteer Infantry (OVI), who died in the Civil War, telling how he died at the Battle of Chickamauga Tennessee – one of the bloodier battles – I just took her at her word. Coyote Ugly: After a one-night stand, waking up and, rather than risk waking up the ugly person sleeping on your arm, you'd rather chew it off.